Well My dreams mostly consisted only of Lord maha vishnu's sudarshan chakra moving.Now for the past few years i have different spiritual teachers comming in my dreams and putting me in such a situation and i dont know why but i always end up asking them to kill me or smash off my head and and always happy at the prespective, but they never do it.And the dream ends with a message or a piece of information from them and iam left in a place and they leave me and iam sad why the hell do thay leave like that.So yes dreams do have a pattern. 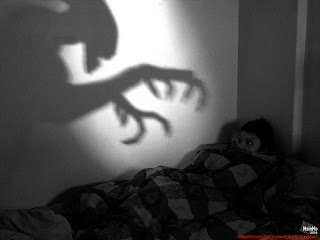 I have had bad dreams too but only 2-3 times in night. My weired dreams are only in afternoon. My bad dreams are usually about not reaching or having skipped an exam..which after waking up turns out to be long over.These are usually in afternoon. The night time bad dreams are about someone in my family dying. SO THIS IS WHAT I DO. WHENEVER I WAKE UP IN A NIGHTMARE OR A BAD DREAM, I CHANT KRISHNA'S NAME as GOVIND,or Govinda,or BhaJ Govindam,Or Govindam adi purusham twam aham bhajami.and go to sleep again,chanting this only. Thesre are different names of krishna you can chant at different occassions. while sleeping Padmanabha while eating Janardana,While travelling tri vikrama,while having medicine Vishnu.,so govindam is for bad derams. My mom says when you have a bad dreams and wake up ..chant govindam and go to sleep for atleast 15 20 minutes again ..atleast lie down. Hoever if you ahve a very good and auspicious dream and its nearly dawn and you wake up ..dont sleep again.Try it hopefully it helps.